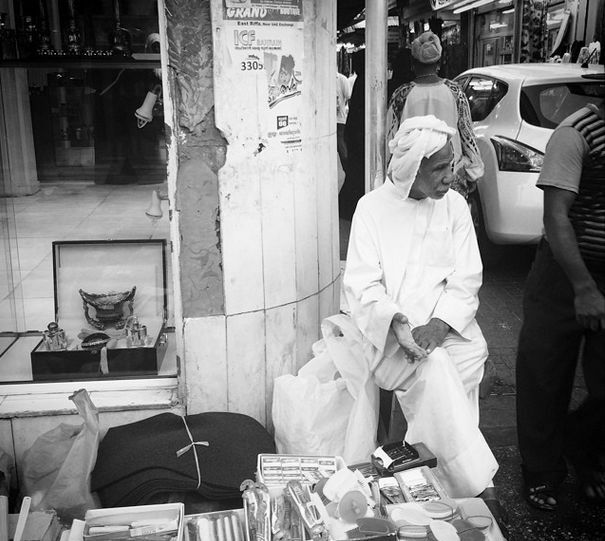 An elderly Bahraini man selling various imported goods invites passersby over to take a look at his market stall. Among the goods he sells are kitchen appliances, toothbrushes, hair combs and toothpicks. In Manama, Bahrainis work across all fields from taxi drivers to bankers and shopkeepers. Bab Al Bahrain (meaning Gateway of Bahrain in Arabic) is where the city’s souq begins and it really does provide a passage into the country’s innercity spirit as its people travel to the market from all parts of the small island to purchase daily necessities.